I'm trying to learn how to work with dynamics, blendshapes, light and render in Maya, so here a viewport picture from the scene, which I created to practice all these things. 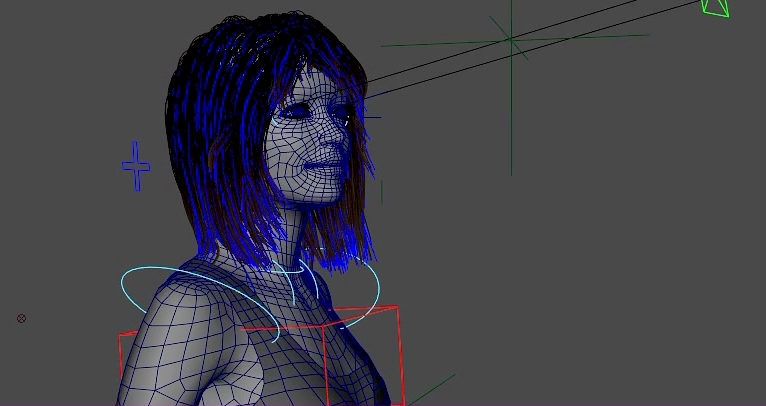 The thing that bothered me the most is the simulation of the hair. Hair in Maya pretty good and realistic, but when you want to add objects to the collision, it does not work. Hair are falling through objects and no matter what the settings are set. Maybe I'll have to look for plugins. Anyway it is at the stage of rendering now, not sure it will out fine, it is just a test, although, well, we'll see. How many hour for doing this woman ? Celunia, thanks! This took about two weeks. ;; ok i am getting started on my work such inspiration!